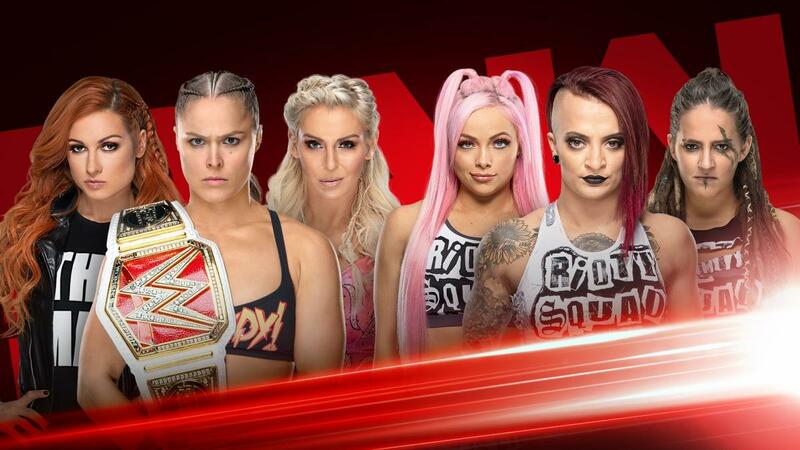 Big Beat The Clock Challenge Opener And Handicap Match Announced For Tonight's WWE RAW - Wrestling Inc.
WWE has announced that tonight's RAW from Boston will open with a Beat The Clock Challenge featuring Becky Lynch, Charlotte Flair and RAW Women's Champion Ronda Rousey vs. The Riott Squad's Ruby Riott, Liv Morgan and Sarah Logan. Rousey, Lynch and Flair will each be paired off against a member of The Riott Squad, and whoever records the fastest victory against her respective opponent will win the challenge, which is being billed as an exhibition. There's no word yet on what the pairings will be. WWE has also announced a 1-on-2 Handicap Match for tonight's RAW with Finn Balor facing Lio Rush and WWE Intercontinental Champion Bobby Lashley. Stay tuned for live RAW coverage at 8pm ET.